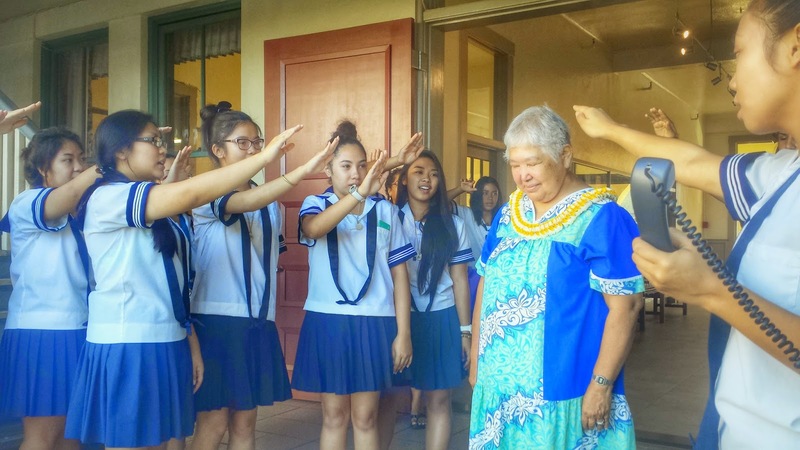 Sacred Hearts Academy - The Blog: Sister Katherine Francis Receives Birthday Blessings! Sister Katherine Francis Receives Birthday Blessings! Students gathered at this morning's flag ceremony and also celebrated Sister Katherine's Birthday. The students and faculty sang "Happy Birthday", blessed her, and wished her many more years of health and happiness.